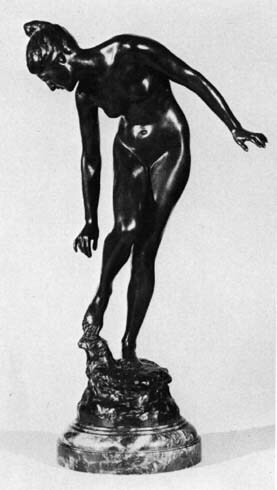 According to M. H. Spielmann's British Sculpture and Sculptors of Today, "The Thorn" full of grace and charm, with as much elegance in the pose as in the action, is probably the most completely successful of Mr. Walker's ideal statues" (p. 100, Marble version illustrated, p. 120). The Blessed Damozel: Women and Children in Victorian Art — An Exhibition of Paintings, Watercolours, Drawings, Photographs and Sculpture. London: Christopher Wood Gallery, 1980. Plate 56.